When is comes to gaming on the PC, the tools of the trade can make a big difference in your performance. Not only does your RAM and video card make a difference, but so do your mouse, keyboard, and even your mousepad. It may sound funny to hear someone mention that a mousepad can make a big difference in your performance, but the SteelSeries 9HD has proven to me that it can actually make all the difference in the world. In terms of precision aiming and control, the truth is that your mouse is only half of the battle. You can have the best technology available on the market in the palm of your hand but if the surface that you are using isn’t conducive to ensuring accurate detection of that technology, it is wasted. 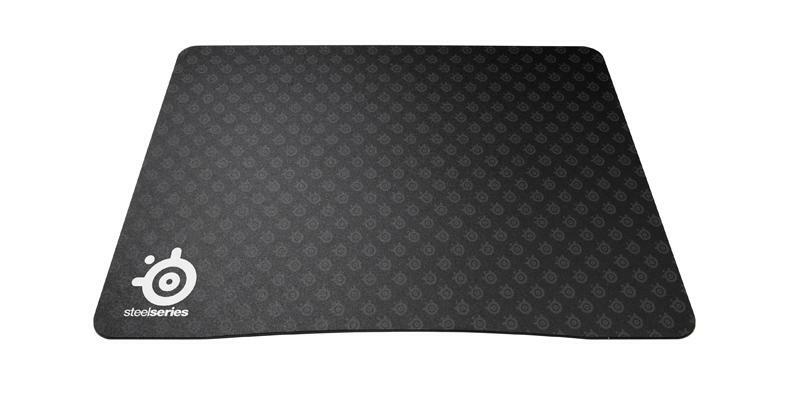 SteelSeries has created a mousepad that enhances the detection and overall performance of even the most basic optical mouse. From a technical aspect, the SteelSeries 9HD is built to enhance your mouse’s overall performance. The pad itself is made from a hard plastic with “tens of thousands” of microsopic points on the surface to enhance the reflection of light emitted from your optical mouse. I noticed increased sensitivity in both gaming and standard mice almost as soon as I placed the respective mice on the pad. Whether I was using my SteelSeries XAI on my home computer or the basic Microsoft Wheel Mouse Optical from my office PC, the increased performance was immediately noticeable. Thanks to the high speed surface of the mousepad, even the slightest movement was detected. Not only was the speed of my cursor increased, but the accuracy was as well. I found it much easier to quickly stop the pointer on specific points of interest both in game and even in general application uses. This was especially handy in my the time I spent playing Revenge of the Titans (RTS). The effectiveness of the pad allowed me to use faster (physical) movement of the mouse while maintaining the accuracy that I was used to when moving slowly and methodically. The cursor is simply much more responsive thanks to the tracking capabilities of the 9HD’s surface. Physically speaking, the 9HD boasts a very large surface area, eliminating nearly any chance of running off the edge of the mousepad. The face of the pad measures 12.7 inches (320mm) by 10.7 inches (270mm) and provides an even surface from edge to edge. Their is no beveling or drop off on the edges which will keep your mouse tracking until the furthest edges. You don’t have to worry about it slipping on your dusk either, thanks to a non-slip rubber base on the bottom half. The pad holds firmly onto your desk or table top even under intense movement and usage. Although the pad is extremely thin (2mm), it is very rigid. The result is a pad that never “bubbles” up when being positioned or moved. The 9HD eliminates the physical discomfort that many cheaper and thicker mousepads often create. The small size (thickness) of the pad keeps your forearm almost flat with your workspace, eliminating the stress on your wrist created by pads with more elevation. A solid gaming surface is a must have for any serious PC gamer and the Steelseries 9HD is as good as any on the market. The pad alone will really help increase the accuracy and sensitivity of any mouse, but when coupled with a true gaming mouse, the results are incredible.